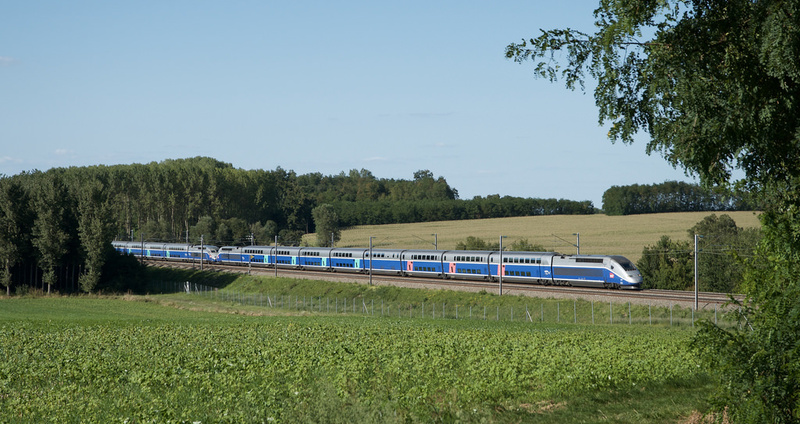 Leaving Château Pommard, I saw a church spire rising a kilometre in the distance. 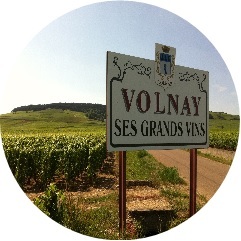 A sign told me that it was the famous wine village of Volnay. Further down the valley I saw a second church spire and another sign beckoned; “Meursault 3km.” My mind was set. there and back to the hotel by the midday checkout. 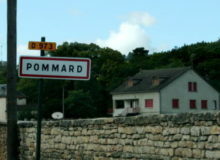 On the outskirts of Pommard, I found the roads were narrow with no space for pedestrians and the traffic was heavy with trucks and tractors. I climbed onto a low roadside wall to survey my options and was pleased to find one of Burgundy’s best features. 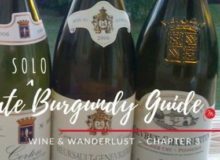 A spiralling network of small roads and pathways led directly to each town – and I walked the entire trip to Meursault through the beautiful vineyards. On my arrival, I discovered that Meursault was a large town surrounded by vines from the valley to the high slopes. There were many grand homes and at least a dozen famous wine merchants offering numerous tastings. It was approaching 11:00am and time to head back to the hotel when I saw a dégustation sign for Ballot-Millot. 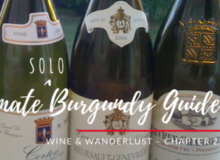 A brief chat with a chap named Pascal behind the counter established that they offered a free tasting of four Premier Cru white Burgundies and four Premier Cru red Burgundies. I was in my element, and Pascal was a knowledgeable young man who spoke excellent English! Time flew as I concentrated on the wines. 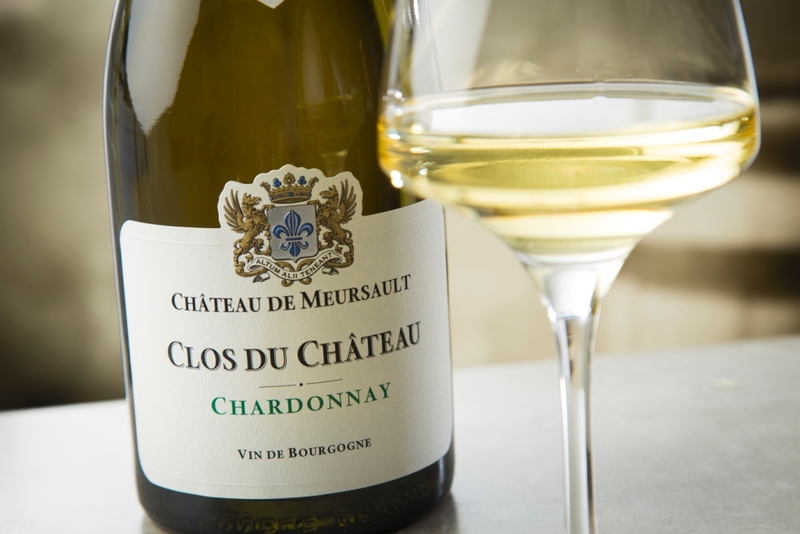 The Chardonnays of Meursault had an acid rich in minerality, with a dominant tannin flavour gathered from the charred oak barrels. 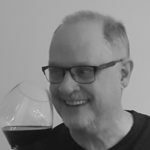 The Pinot Noir from Volnay had a perfumed aroma and appeared light-coloured in the glass. However, they tasted of rich sweet fruit and were nicely balanced with firm acidity. And then, rather suddenly it was midday. Time had run away with me! I enquired whether Pascal could perhaps call me a taxi. “It is lunchtime; you will not get a taxi at this time,” he replied. This was shaping to be a bit of a problem, but then Pascal delivered the perfect solution. 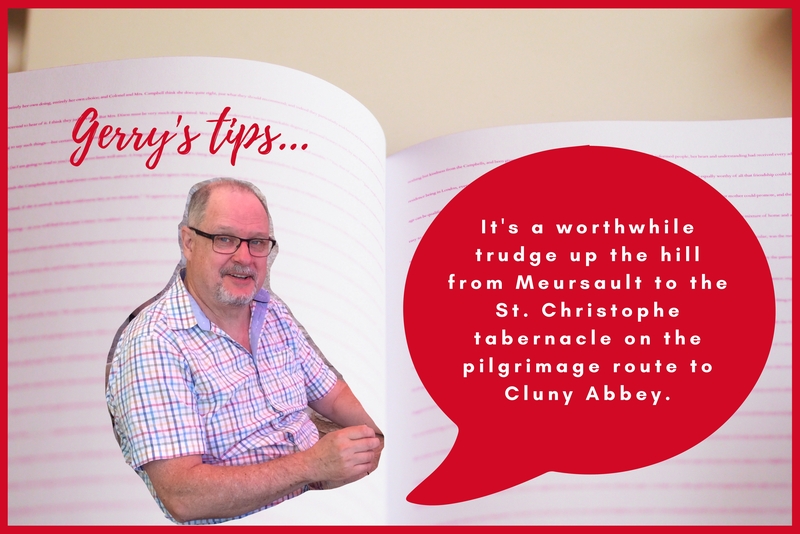 “I am closing in ten minutes and going home to Beaune for lunch,” explained Pascal. “I can give you a lift if you’d like. In the meantime, would you like to try any of these wines again?” There was no hesitation in my affirmation. I was in heaven. We motored back to the hotel in a few minutes. Luckily, the manager was unconcerned that I was a little late. 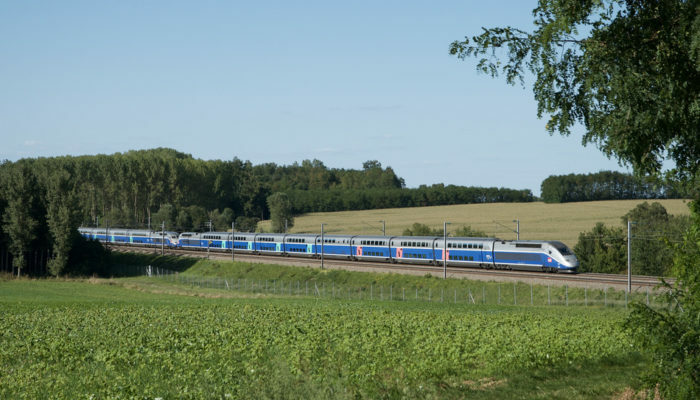 Later, as the TGV sped back to Paris, I contemplated the fact that France was so much more than Paris. Curious to know what happens next or start at the beginning? 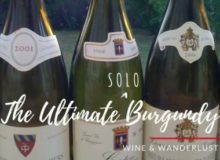 ‘The Ultimate solo Guide to Burgundy’ with Gerry Robinson. 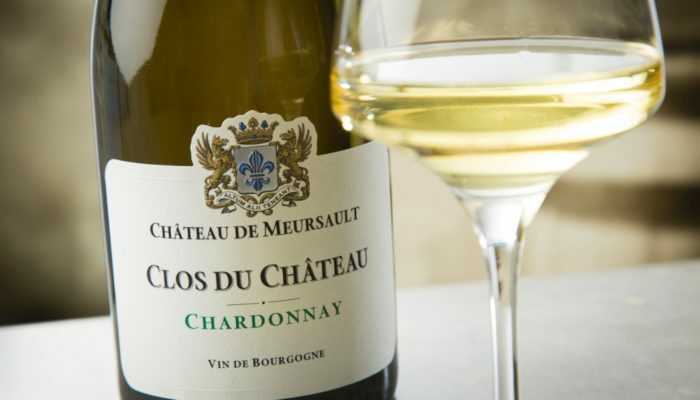 Have you ever tasted the Chardonnays of Meursault? We’d love to hear your thoughts and experiences in the comments box below.